Many people--including multitudes of Christians--go through life treating Jesus as if He is merely a historical figure. They may even speak to Him with great respect, but they don’t really expect to get any input back from Him... if they are honest. Maybe they attend events and activities that are organized for Him, but living a life orchestrated by Him is foreign to their experience. It doesn’t have to be that way! Jesus demonstrated God’s love for us when he allowed Himself to be tortured and killed at the hands of men who were held captive by evil. By rising from the dead, Jesus showed that He was stronger than any evil that would attempt to keep Him in the grave. The same power that conquered evil and raised Jesus from the dead is now offered to all who long to leave their broken lives. To people who are sick of spending their lives dirtying their consciences, He offers forgiveness and a clean conscience! He offers a life not merely about God, but a life in a loving relationship with God, hand in hand, as we were meant to live with Him from the beginning. Not through a dead religion, but through His supernatural life within, we can now experience victory over the destructive forces of sin in this world. Marriages thrive. Children are happy and obedient. Jesus empowers His people from within to love one another and become family together. Through love and care and sacrifice, their weaknesses turn into strength. These are just a few of the real, tangible, and lasting effects of the loving Savior who so long ago demonstrated the power of sacrifice and love. He continues to offer this care and compassion and to interact with His people in real-time every day. Won’t you take him up on it?!?! Would you please do something that God tells us to do? "Examine yourselves to see whether you are in the faith" (2 Corinthians 13:5) and "If you think you are standing firm, be careful that you do not fall." (1 Corinthians 10:12). As you look inside yourself and around you at the Christianity you are living, does it match up with the Bible? Do you ever find yourself asking, "Is what I'm experiencing really what Jesus died for? Isn't there something more?" Please be honest and take it seriously, and ask God about this. Please don't limit God based on the culture around you or based on your own experiences. His Word is true--much more valid than our own experiences or thoughts about Him, so please don’t limit God. Pursue Him no matter what the cost. He is worth it! Perhaps you honestly feel that you pass this “test.” Great! Read on, and see if there is something new and fresh that you can apply to your life so that you can reflect Him better to those around you. Please know that the truth of His existence does not depend on us--even if we choose to not believe, we cannot change reality. If someone gets fired from his job, he may react saying, "I refuse to believe this has happened!" His refusal to believe cannot change the facts. He will look very silly when he shows up to work on Monday. Refusing to believe Jesus does not change the facts, it merely determines whose side you are on. You will bow your knee to your Maker one day -- why not do it on this side of eternity? It’s worth it! 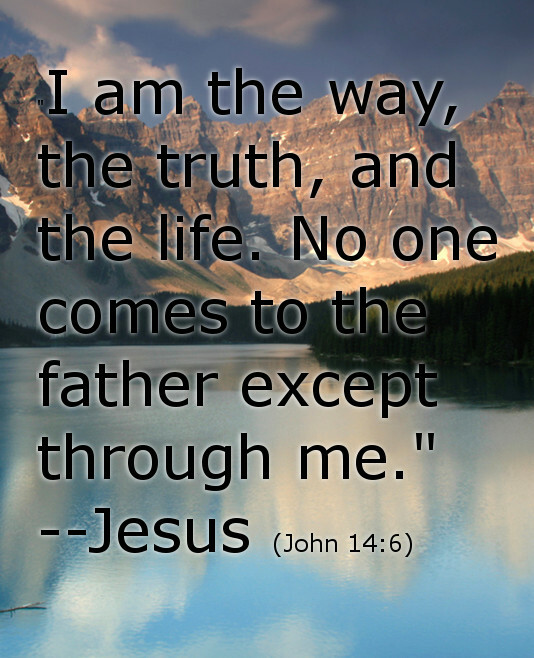 It is true that there are many people claiming to believe in Jesus. Some think they believe, but actually do not--and their lives do not bear the evidence of true belief. Please don’t judge Jesus based on the faulty lives of some who claim to follow Him. It's not too late to search for Him and find Him. There is nothing in the universe more important, so why not take some time to honestly ask the questions you have of Him and then start looking for Him and His answers to you? "The Christians' creed requires them to believe in the personality of God, and they have been taught to pray... but for millions of Christians, nevertheless, God is no more real than He is to the non-Christian. They go through life trying to love an ideal and be loyal to a mere principle." --A.W. Tozer, "The Pursuit of God"